You can choose any tartan from the drop down menu, and we will make your Neck Tie out of your tartan choice. .
Add a little spice on that special occasion with one our handmade, classic neck-ties. Modern, four inch width, and standard 63 inch length, overall. Some are in stock, call for availability, otherwise these may be made to order, in which case please allow 3-7 days for production, plus shipping time. As is customary with Sport Kilt products, this tie is well made. My only critique would be the cut. It’s a little wider at the base than I like personally. I bought the tie to match my kilt (Campbell clan). I plan to wear both with a navy blue blazer – once the temperature in Texas drops! Too hot during the summer. Got a Wallace hunting tartan bowtie, would like to send you photos. Is there a way? I have several ties from your company – Army, USAF, USCG, USA St Andrews, and since you are now making my family’s tartan, Johnston! A tie made of sturdy material, not the flimsy stuff so many are made from. I expect it will last for a long time. Thanks for offering this product in the PSYOP Tartan. As a former member of the 303rd TPC, 312th TPC (Iraq) and CJPOTF (Afghanistan) it’s great to have a well-made tie in the PSYOP Tartan. Thanks. As usual, Sport Kilt is fast, accurate and highly efficient with online purchases. I’ve been order from Sport Kilt for about five years and have never had a bad experience. Very squared away! 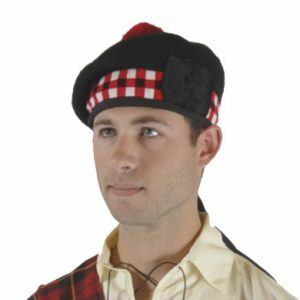 The colours are great – this is a hard to find Tartan and Sport Kilt had it in stock! Thank you for your prompt and courteous service in providing me with your US Army Tartan Tie in time for our annual Burns supper. It is of excellent quality and I received many compliments from admirers of the tie. These are excellent quality ties, long enough to tie with a Half-Windsor knot, and an outstanding way to have a sample of the tartan material. the MacLaren tartan necktie was a hit ! a lot of envious comments while wearing your tartan necktie; with your lighter weight material, the tie knotted just like a standard tie unlike the bulkier material ties from some other sources !